The African American Military History Museum aims to educate the public about African American contributions to the United States military. 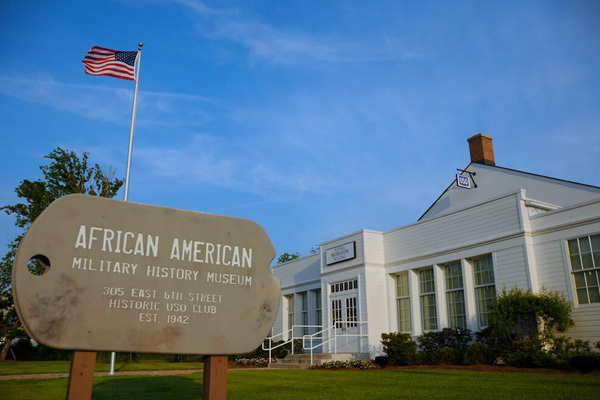 This museum is located in a Historic USO Club, which opened in 1942 during World War II to serve as a home away from home for African American soldiers stationed at Camp Shelby. Discover the history of the USO Club, from a WWII Recreation Building to Hattiesburg's first African American Library and Community Center.